(UPTOWN CHARLOTTE, NC) -- Outfielder Eloy Jiménez, who hit an impressive .359 (37-for-103) with four home runs and 16 RBIs with the Charlotte Knights in the month of August (26 games), has been named as the Chicago White Sox Minor League Player of the Month for August/September. The award is voted on each month by a panel of Chicago-area media members. Jiménez also took home the award in May with the Birmingham Barons and again in July with the Knights. Ranked as the top prospect in the Chicago White Sox system by Baseball America and MLB.com, the 21-year-old slugger hit .355 (75-for-211) with 28 runs scored, 13 doubles, one triple, 12 home runs, and 33 RBIs over 55 games with the Knights in 2018. Since his promotion from Double-A on June 21st, he posted the highest batting average (.355) and highest slugging percentage in the International League (.597). Over the course of that 55-game span, his on-base percentage (.399) finished tied for third and his home run total (12) ranked tied for sixth in the league. 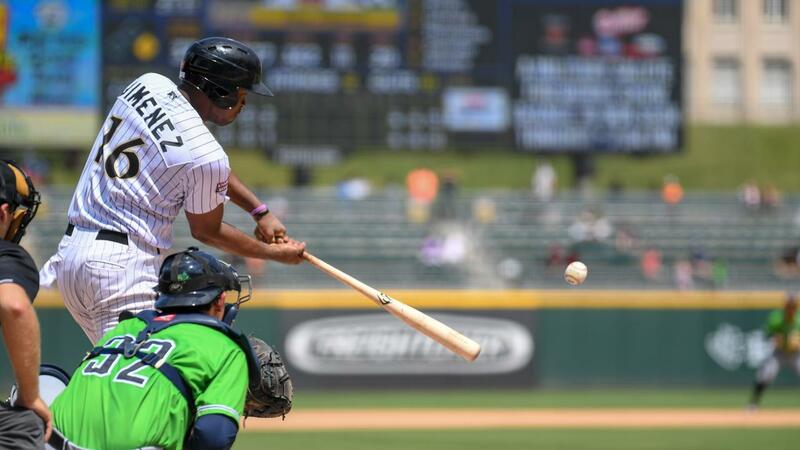 A native of Santo Domingo, DR, Jiménez compiled a .317 (65-for-205) batting average with 36 runs scored, 15 doubles, two triples, 10 home runs, and 42 RBIs over 53 games with the Barons earlier this season. At the time of his promotion to Charlotte (June 21st), he ranked second in the Southern League in batting average, tied for fifth in home runs, tied for second in RBIs, and first in slugging percentage (.556). He represented the Barons at the 2018 Southern League All-Star Game.